Wareham-Sheila Miranda, 68, of Wareham, MA, wife of 46 years to Richard Miranda, passed away peacefully at her home Tuesday, October 30, 2018 with her family present. She was the daughter of the late Bernard F. and Almira I. Churchill. A much-loved wife, mother, grandmother, daughter and sister, She had bravely confronted and fought cancer. She was born September 30,1950 in Stoughton, Massachusetts, and resided in Wareham, Massachusetts for the past 6 years, after having moved from Middleboro, MA in 2012. She graduated from Stoughton High School in1968 and continued on to receive her certification in Cosmetology. She was an active member of the Evangelical Zion Church of Wareham. Sheila was a printer for Dow Check at the Westgate Mall in Brockton for several years until the business closed. 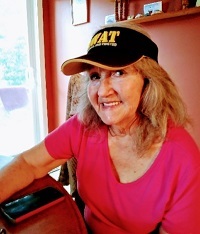 She then worked at Rand McNally in Taunton as a book proof reader for several years and was part of the original employees of Walmart of Plymouth for ten years prior to retirement in 2015. Some of Sheila's favorite past times were singing and dancing. Shelia loved her family dearly and very much enjoyed being involved in her grandchildren's lives. She is survived by her siblings, Georgianna Mestieri, Joan Peters, Paul Churchill and Michael Churchill. Her children, Anthony Sr and wife Gabriel & Jason of ME, Anthony Jr and wife Courtney, step children Carmen, Richard, Wayne Miranda and wife Donna of MA, Robert Scott of Florida, the late Lisa Miranda. She was also survived by many loving grandchildren, great grandchildren, nieces, nephews, relatives and friends.